In my dreams, I’m not bound to walk beneath the earth. This morning, the sun returned. What a powerful experience, after days of gray skies and waves of snow, freezing rain, and ice. The myth of Persephone, the queen of the underworld who is allowed to return aboveground in the spring and summer, is on my mind these days. Even as I start seeds for this year’s garden, I have been working on a musical based on the fairy tale of Thumbelina, a variant of the Persephone myth. I have always loved this tale, especially since Thumbelina’s good deed of saving the swallow who falls underground earns her a pair of wings and the gift of spending the rest of her life aboveground, living in a flower. But before that happens, she must go through her own “dark night of the soul” – living underground for the winter and being promised in marriage to Mr. Mole, a wealthy character who will never let her go above ground again. In the spring, the swallow returns to rescue her and flies her to a garden. The Persephone myth is a reflection of the rhythm of the seasons, from the hibernation of winter to the blossoming of spring, but from a psychological view, it is more than that. The journey “underground” is often compared to the “dark night of the soul” that many have experienced, a time of living underground in one’s psyche while experiencing doubt and despair, but eventually returning to sunlight. In a similar vein, the Hero’s Journey was explored in depth by Joseph Campbell and brought into popular consciousness. The mythical journey of the reluctant hero surviving chaos and danger in order to retrieve something of worth is a constant source of story for books and films. Last night’s Oscar winning film, Argo, is a perfect example of a story that never loses its power. Another variant on this theme is that of Orpheus, who could charm the stones with his music and who descended into the underworld to retrieve his wife Eurydice. Perhaps you remember the 1959 film Black Orpheus – filmed in Brazil by French director Marcel Camus – and the beautiful song of the same name written by Luis Bonfa. 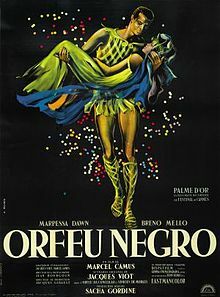 An adaptation of the Orpheus myth set in Rio de Janeiro and featuring samba and bossa nova music, the movie won the 1960 Academy Award for Best Foreign Language Film. It is late February and spring is around the corner. The treetops are turning red with the rising sap, bulbs are rising from the earth, and I can feel the sunlight on my face. I’m ready to emerge from the underground and spend the rest of the season living in a flower. In my dreams, I feel sunlight on my face. Where I can live and be me, be free. a place in my dreams. This entry was posted in Garden and Music, Music and tagged Academy Awards, Argo, Black Orpheus, dark night of the soul, garden dreams, hero's journey, Joseph Campbell, mythology, Orpheus, Persephone, spring, Thumbelina, winter by composerinthegarden. Bookmark the permalink. As I read your description of the story of Thumbalina, I first thought I was not familiar with the story. And yet at the same time it IS familiar. Interesting thoughts that go well with this time of year. I was sorting books and came across one about Inanna, Queen of Heaven and Earth, and flipped through until I came to the story of her descent into the Underworld. Robin, you are so perceptive. Inanna, like Orpheus, is often used to illustrate the descent underground as part of the hero’s journey or “dark night of the soul.” All part of what Campbell calls the monomyth. Thanks for making such a great comment. a lovely blue sky in February always seems such a gift to me. The greyness of low slung clouds lifts, and for a day, an hour, or even a moment, we are reminded there is light, blessed light to fill us with grace once again. Joss, you have captured that moment completely. There was a moment that day of sun and warmth, now a memory, but a precious one. I always assume with hope the return of that moment 🙂 Thanks for visiting and commenting. Oh Paula, your return of winter is even worse than ours! Ouch! But you are right, we seem to be in the final throes. Stay warm and safe. Lynn: I am right there with you, my friend. I long for spring as if it were my life’s blood. I saw my first Cardinal the other day (sure sign of Spring’s return in this area) and I read a report that the Hummingbirds are returning early because the winter has been so unusually warm. It is such a treat to be sitting in and amongst red flowers while listening to music and have a hummingbird come up right next to my face as they suckle the stem of an hibiscus plant. I don’t even allow myself to breath and I swear I can almost hear the voice of God in the beating of their wings. I love the concept of your latest project. Thumbelina is one of my favorite tales and I really related to her as a child growing up in foster care. I always knew that no matter how dark the winter, the spring (hope) would always come and I’d be free. Love, love, love your work. So glad I found you. Eleanor, thank you for such kind words, my friend. 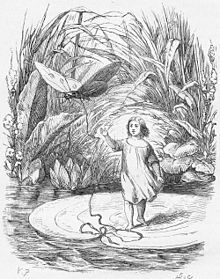 I can see why you would respond to those Thumbelina verses – it is a universal yearning, I think, but can also be very specific for some of life’s conditions, as you have shared. I also long for spring; I’ve been starting seeds and watching garden videos every morning to keep myself hopeful but it won’t come a moment too soon! How wonderful that you can expect hummingbirds to return early – they are so magical! I keep a camera handy when I sit on our deck as they often come to feed on the potted flowers nearby – always a treat. Here are the words I’ve found online for the song “Manhã de Carnaval,” with words by Antônio Maria and music by Luiz Bonfá. In my simple translation that follows, you’ll see that the words do indeed harmonize with your post. e em cada cor brilhou. Voltou o sonho então ao coração. não sei se outro dia haverá. é nossa a manhã, tão bela afinal! Morning, such a pretty morning. And has shined in every color. A dream has returned to the heart. I don’t know if there will ever be another day. Steve, I love this translation; thank you so much. I’ve always known the song as “A Day in the Life of a Fool” which is how it is known in American jazz circles, where it has become a bossa nova standard. I’ve never read the translated lyrics before; the last verse gave me goosebumps! Thanks again for your generous contribution – how many languages do you know? I have been feeling the effects of the winter underground, partly because of the season, and partly because of health issues in the family. I too am looking forward to spring! That’s kind of a double underground, Margie – winter seems extra long to me this year as well. I hope things improve for you and spring comes soon! A lovely song. I actually thought of my sister who died 2 yrs. ago. We’re getting temporary warmer weather before we get sacked again with probably -15 to -20 degree C winter snow and ice. I’ve been slipping in cycling whenever I can. That’s the promise of spring..freedom on bike. Thumbalina, I never thought about her that way. One of my favorite childhood stories. Now as a mom I identify with Demeter who kept watch and searches for her child until she is freed. This was that the myth that sustained me when she spent 6 months in South America. Wonderful post,Lynn so glad the sun has returned ! Thank you, snowbird, for your kind words. I had to look up the Angel Cassiel – the angel of solitude and tears. Fascinating; here’s a link to more about Cassiel. I’m glad your sun came back – yo’ve done such a good thing, taking that thgouht further, and the Black Orpheus song – so long ago but still so beautiful. Thanks, Bluebrightly – I love that movie and especially that song. I was pleased to find a clip on YouTube to enjoy. And the Black Orpheus video – that was a long time ago – timeless song though. Glad your sun came back, and you’ve done such a nice job of taking that thought further. The sun only lasted a day, but it felt and looked wonderful! The Thumbelina project sounds fascinating. I love what you have done with music and the mini-movies. Also that you can do rhymes that rhyme, and melodies one can follow. I have always thought that the symphonic form in music takes one on a quest adventure, to the extent that I have named all my albums that. So many myths are based on quests of one kind or another. You are so right, Colonialist; I love the quest story – composing larger works do seem to take on the nature of adventure. An obvious advantage has only just, strangely enough, occurred to me – using that theme one writes everything on re-quest! This is a beautiful post Lynn. Thank you for reminding me of the mythic aspects of the seasons both inside and outside. Thanks, Margie – myths and archetypes seem to capture the big motions of nature best. Very timely piece, Lynn. 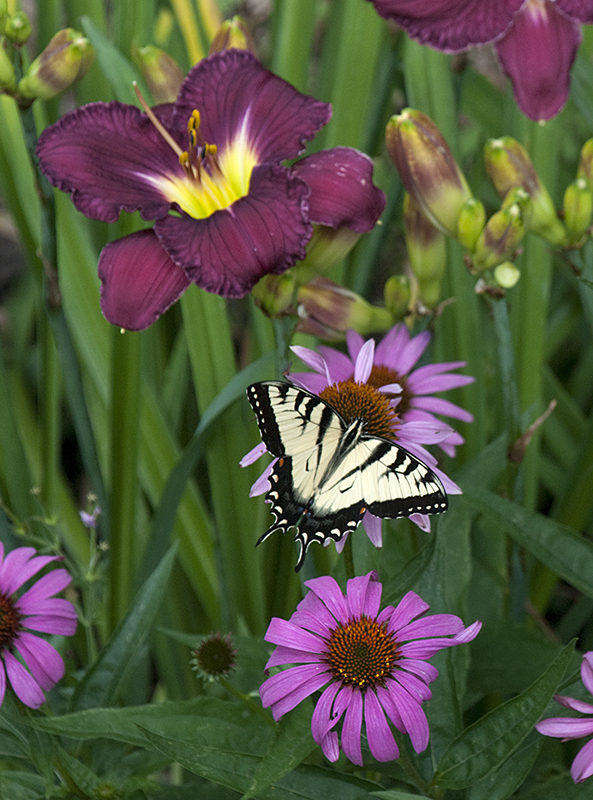 We won’t have spring nearly as early as last year, but it will be here sooner than later. The best thing about winter is the appreciation it gives us for the returning spring. I hope we all emerge soon! You are absolutely right, Ogee! I can’t imagine a life that doesn’t thrum with the undercurrent of myth, dreams and fairy tales, Lynn; thanks for the reminder of these lovely tales that remind me shadows leave and light returns. I look forward to hearing more about Thumbelina, and so enjoyed the poetry/lyrics you’ve shared. Joy to spring’s arrival! Kitty, I am right there with you; myth, dreams, and fairy tales are the stuff of daily life for me. I love your phrase “shadows leave and light returns” – a poetic way to put that transition. May you enjoy the soon-to-arrive spring as well!